I wince every time I see an organization that has spent $500 or $1000 on a website when there are free (and superior) alternatives. Here’s how you create a professional quality website in less than an hour. Choose a website address and click “no thanks” for free version. Note that you might not get your first choice on the free wordpress.com site. I tried each of the following names, but they were already taken: crunk, junkmonkey, beansprout, cheesedoodle, brainsprout, megadude, rantingjerk, storyland, and storymap, before deciding on storymapping.wordpress.com for this tutorial. Type your real first name, last name, and a sentence about yourself. 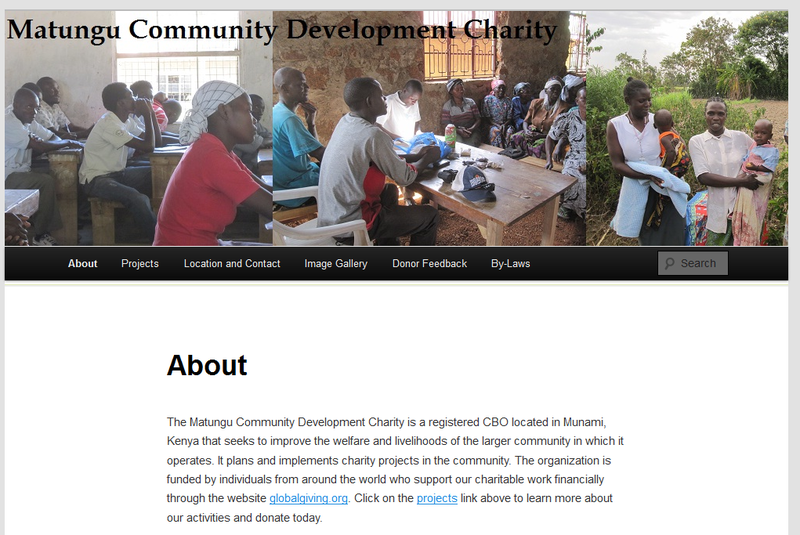 If you are creating an NGO website, you should describe your role at this organization in the “about yourself” section. Don’t forget to click “SAVE PROFILE” in the big orange button before continuing. You’re getting closer now! At this point, the blog that will become your organization’s official website is visible on the Internet, but totally generic. You need to customize it. Login to your website’s dashboard. Login to your website’s “dashboard.” You will always log into your dashboard using this page, so BOOKMARK IT! Take the URL for your website, such as “http://storymapping.wordpress.com&#8221; and add “wp-login.php” to the end of it, to make “http://storymapping.wordpress.com/wp-login.php.&#8221; This is your login page. Click the Facebook logo to connect this blog to Facebook. This will publicize your organization’s posts by creating a “status update” summary of them each time you post a new message. THIS IS REALLY IMPORTANT! Most organizations falsely assume that because something is on the Internet (such as their website), that people will find it. NOT TRUE! The way that people find your website is because you promote it on social media (like twitter and Facebook) and through word of mouth – telling people about it. Twitter is better for attracting people to your website whom you do not already know. Twitter is part of web searching. Facebook is better for alerting your friends (and people you already know) that there is some news to read on your blog (which will be your organization’s website). You can also click “sign up for facebook” right now if you haven’t yet. DO IT! Your website will never get any visitors if you keep it isolated. Next: Choose a good THEME. This is the magic step that transforms a regular “blog” (i.e. place where a person writes opinions) into a professional looking organization website. 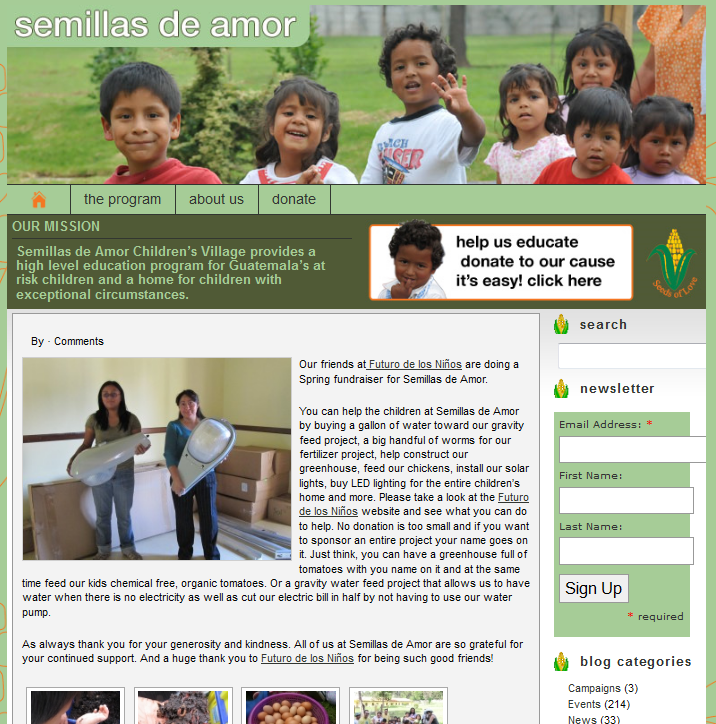 Amazingly, only 5 of the 1200 organizations on GlobalGiving use this free tool. I’m very saddened by this. Use search and enter keywords for the types of features that organization websites typically feature: menu, custom-menu, theme-options, business, and header are important. You can preview a lot of blogs before you activate them. Many themes have “theme options” that you can change later. Bueno, for example, lets you build custom menus and choose a color background of your choice. These are the most important things to make visible on your website – so choose a theme with menus so that you don’t hide it. Note that I have modified the website’s title and “tag line” under Settings –> General. 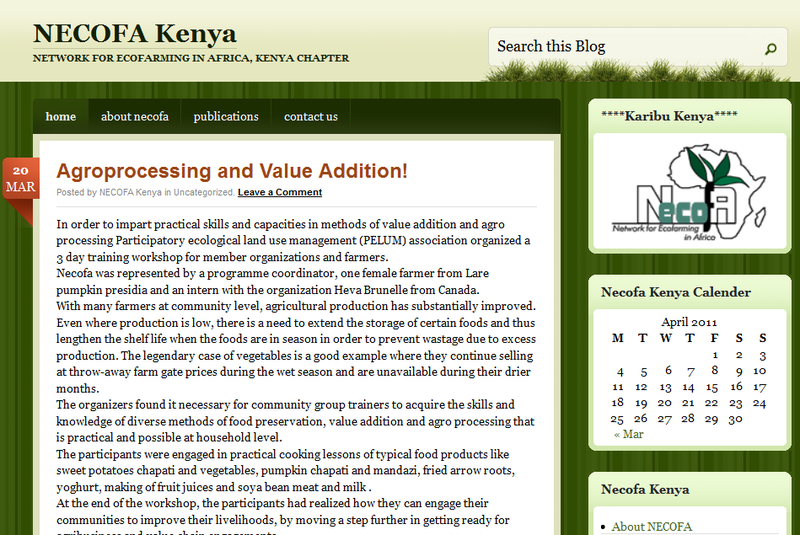 I have also added several PAGES about staff and vision, etc – that appear just below my custom header image. Which theme you pick is far less important than connecting your blog to twitter and Facebook. I am showing several themes here primarily because this is what most organizations PAY (and overpay) computer experts to do for them. Clearly, you have dozens of free theme choices on wordpress.com and one is surely good enough to satisfy you. On the right side is the unmodified SANDBOX theme. 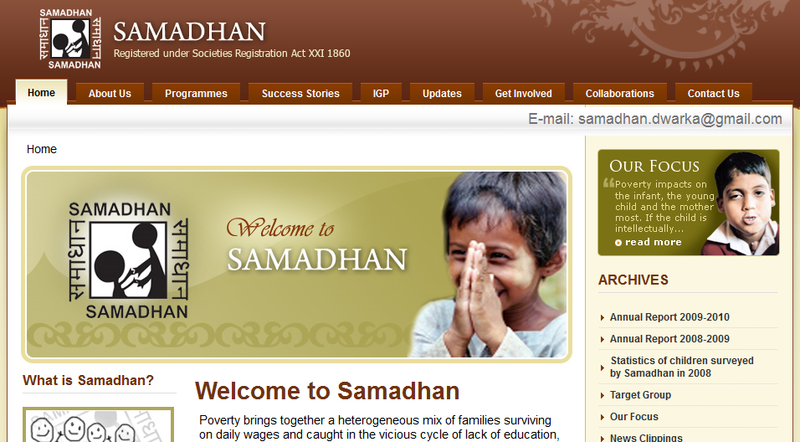 On the left – my customized CSS version. Be sure to click PUBLISH when you are done! Click “My Blogs” under Dashboard, then click ENABLE under the Post by Email section on the right. You can also “post by voice” – where you call a phone number, talk, and it will generate an MP3 message and upload it to your blog. I want to have wibe sit for my organization and easy to provide the informantion to the other people around the world to know about my action that I do in my organization. I thank you for this offer. 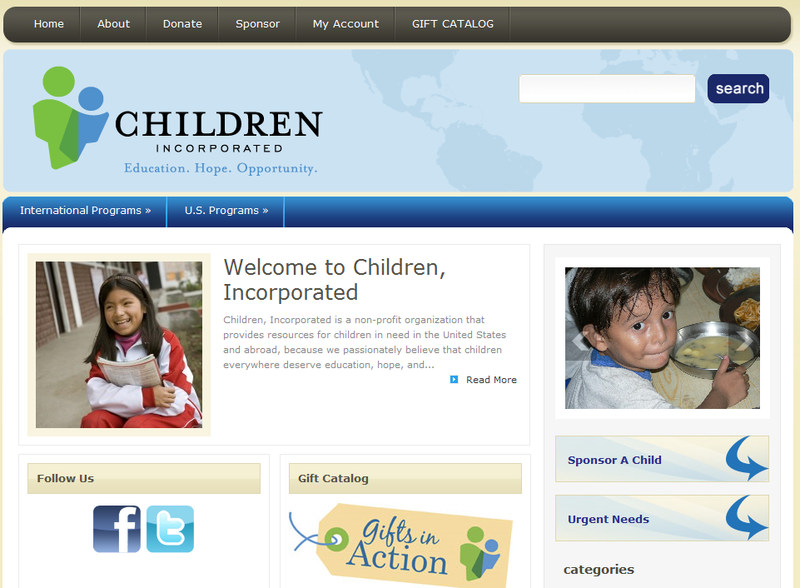 I would like to create websites for UMICEF and Global Education Fund Africa. This information is goining to assist me in doing so. Thanks and God bless you. Could you give me some insight into how to hook wordpress to my organizations facebook page. Currently it links to my human being facebook account instead of the org. DanceUmbrella – don’t know exactly but a good question. I am assuming that if enter the login information for the organization’s facebook group (and that login doesn’t also unlock your personal account) it will work. If there’s only one account for both, then you may need a plugin, hack, or to code a “webhook” – that will do something every time somebody posts on your blog. Webhooks are advanced stuff, but possibly the only way for this to work on wordpress.com. For wordpress.org (the version you download and install on a server like bluehost) – you can do literally anything. I’ve never been able to find anyone using webhooks yet. Commendable job Marc. You’ve done some real work to explain the entire process step by step with fantastic illustrations. Truly good -You just don’t own the domain – otherwise everything else is plain simple and great. And thanks for the advice on Twitter and Facebook. I znowu nie zdałeś? To już piąty raz? Brak prawa jazdy spędza Ci sen z powiek. Przyjdź do nas. Zapoznaj się z ofertą profesjonalistów. Quattro to szkoła jazdy prowadzona przez wykwalifikowaną kadrę instruktorską. Zajęcia odbywają się absolutnie bezstresowo i w miłej atmosferze.Szkoła jazdy Quattro to przystępne warunki, wysoki poziom zajęć, kompetentni instruktorzy oraz niezawodne samochody.Szkolimy w zakresie kategori A, A1, B, B1. Można uczyć się z nami w miastach: Kraków, Nowy Sącz, Rybnik, Dąbrowa Górnicza, Bytom. Z Nami uzyskasz wymażone prawo jazdy, szybko przyswoisz niezbędną wiedzę zarówno teoretyczną i praktyczną.szkoła jazdy kraków – jutro może otworzymy placówkę w twoim mieście. Jeśli planujesz kurs prawa jazdy Nowy Sącz lub w innym mieście to Tylko z Nami. Zapraszamy do odwiedzenia naszej strony. Do zobaczenia na kursie prawa jazdy. It is one of the forums that are worth coming back. I can hardly believe that it is such an amazing forum. Someone essentially help to make critically posts I’d state. That is the first time I frequented your website page and so far? I surprised with the research you made to make this particular post amazing. Excellent activity! I MOHD HUZAIFI BIN MAT AIL from University of Technology Malaysia (UTM), Skudai, Johor. I’m currently pursuing Bachelor of Urban & Regional Planning. Firstly, I am writing to express my interest for your company and want hardcopy of the company profile to be located in the library for students to refer when they are looking for a place for internship. I am writing to you in order to ask and want more information about your company profile. Perhaps your company is seeking to recruit the talent of someone that can grasp complex concepts, and contribute to the success of your organization. So, I would like to request for some important and pertinent information about this. It is important especially for students to see and refer if those programs offer the training they need. I would greatly appreaciate it if you provide me with some information about this. I would appreaciate your prompt attention to my request. Thank you very much for your help. I look forward to hearing from you in the near future. Please send me an answer to my email address at efieezz@yahoo.com. I can be reached anytime via email. Internet access in rᥱcent years.